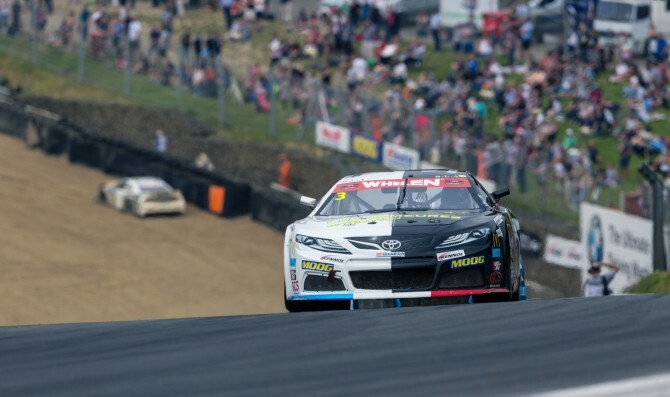 In his 65th NASCAR Whelen Euro Series start Frederic Gabillon scored his first ever victory on a Tepac RDV Compétition’s Toyota Camry at the Brands Hatch Indy Circuit by leading the ELITE 1 Round 5 from flag to flag in what was his 10th NWES career win and the first of the season. 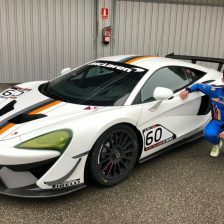 The Frenchman held off the Braxx Racing’s Chevrolet SS of Marc Goossens through two restarts after starting from the pole position and behind the frontrunners, the battle for third was incredibly exciting. 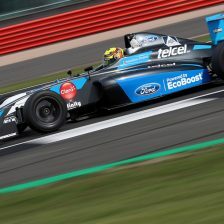 After six cars frantically exchanged positions for the last 13 laps of the race, Loris Hezemans’ Ford Mustang (Hendriks Motorsport) ended up third and won the Junior Trophy ahead of Francesco Sini in his Solaris Motorsport’s Chevrolet Camaro. 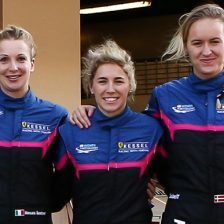 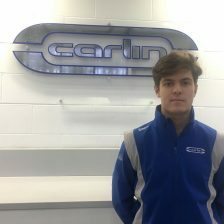 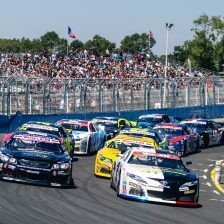 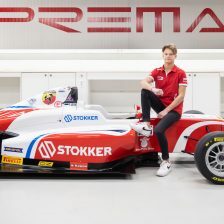 The Italian racing driver scored his first NASCAR top-5 edging Anthony Kumpen (PK Carsport Chevrolet Camaro) and Lucas Lasserre (Mavi Mishumotors Chevrolet SS) who climbed to sixth after completing the first lap in 15th place. 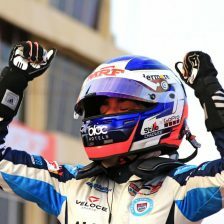 Christophe Bouchut joined the battle up front at the wheel of the Dexwet-DF1 Racing’s Camaro and ended up seventh ahead of Alex Sedgwick (Braxx Racing Ford Mustang) who grabbed the second spot on the Junior Trophy podium in front of his home crowd. 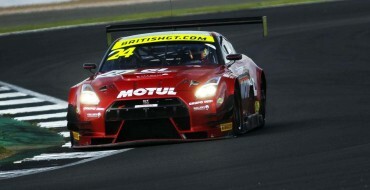 The young Briton lost a few spots in the battle for fourth in the second half of the race. 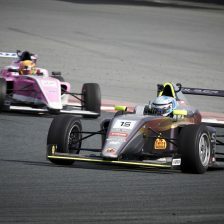 Reigning ELITE 2 champion Thomas Ferrando (Knauf Racing Team Ford Mustang), who grabbed the last spot on the Junior Trophy podium, and Nicolò Rocca (CAAL Racing Chevrolet SS) rounded out the top 10. 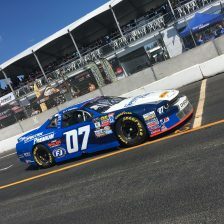 NASCAR Legend Bobby Labonte (YACCO RDV Compétition Toyota Camry) started 15th and fought back to twelfth under the checkered flag. 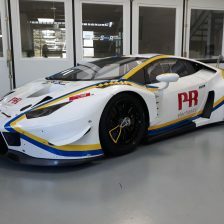 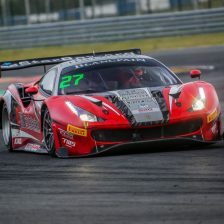 Dario Caso (Racers Motorsport Ford Mustang) won the fight for the Challenger Trophy by finishing 17th right in front of his competitor Kenko Miura (Alex Caffi Motorsport Toyota Camry). 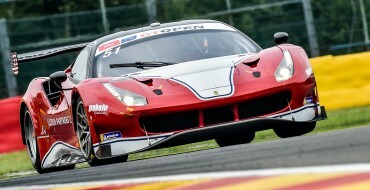 Didier Bec (RDV Compétition Ford Mustang) grabbed the third spot on the Challenger Trophy podium. 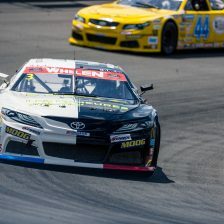 It was an unfortunate race for both for Gianmarco Ercoli and reigning NWES champion Alon Day (CAAL Racing Toyota Camry), who were involved in an accident that led to the second caution of the race on lap 7.